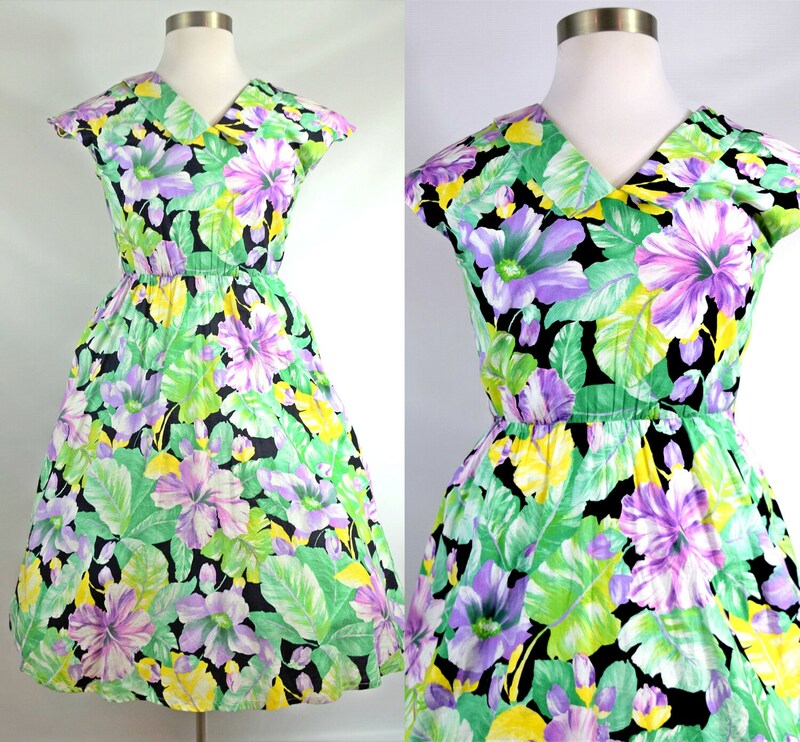 What a lovely, fun frock - incredible bright and cheerful tropical flower print begging to be worn to a special event! This dress has a very flattering A-line silhouette and a sweet Peter Pan collar - very feminine! The collar comes down in the back to the 3 button closure. One might be able to wear this dress with the buttons in front for a different style. The cap sleeve gives just enough coverage, but comfortable for warmer temperatures. Truly a gem! Photographed with a crinoline slip for photographic effect.